Cryptograffiti and Bitcoin Magazine would like to take this opportunity to announce the winner of the auction. Congratulations Twitter user @BTC_Spot! The winning price was the first of several 1 millisatoshi bids (one hundred billionth of one bitcoin). At the time of writing, the US-dollar denominated value of the bid is approximately $0.000000037. The auction marks a significant event for Lightning’s use among the Bitcoin community. It even served as a learning lesson for those who participated. “Many others were unaware that sub-satoshi payments were possible via LN,” the artist told Bitcoin Magazine. Fully concluded, the auction attracted 77 bids to the tune of 182,252 satoshis (0.00182252 BTC). Cryptograffiti pointed out that 14 bidders connected to his Lightning node the day before the auction after he sent out a tweet hinting at the event. 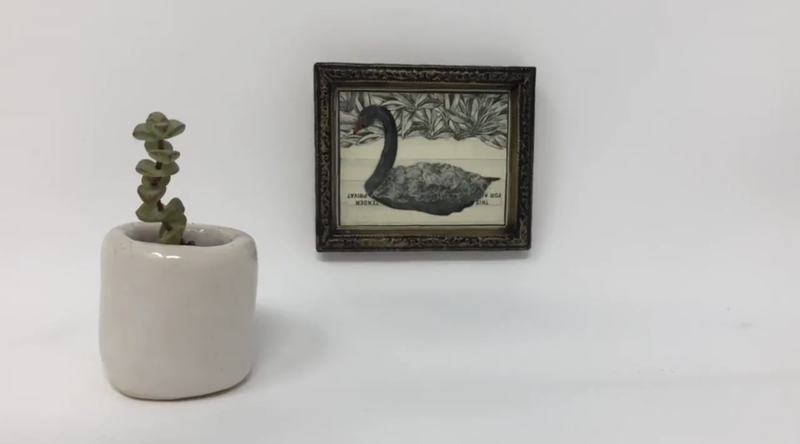 As he explains in a Twitter thread, Cryptograffiti created “black swan” for two reasons. The first, to poke fun at mainstream media’s focus on the less relevant aspects of Bitcoin like its price, instead of the groundbreaking technology being built. The title itself is a seemingly playful nod to the black swan event theory, an event that is unexpected yet has paradigm-shifting ramifications. He also created the piece to help spread awareness about the Lightning Network. “The promise of micropayments was instrumental in my becoming an artist in the space,” he says. He continues to explain that it was in 2012 when he first recognized the impact micropayments could have for artists. He even began attaching public facing wallets to his street art in 2013 as a way to allow for tips. To his own admission, the artist was not technically skilled in setting up the payment processor. He reached out for assistance to Twitter user @notgrubles, who he states was a crucial player in getting the auction off the ground. With @notgrubles’ help, the artist chose c-lightning, a standard compliant implementation of the Lightning Network protocol, and, using this, they set up nanotip. Nanotip is a web server built on Lightning Charge, a Blockstream-designed software package that makes it simple to build apps on Lightning. “In addition to nanotip/Lightning Charge, I bought a CasaHODL node, set up BTCPayServer with Zap, and integrated Globee for merch payments,” the artist added.